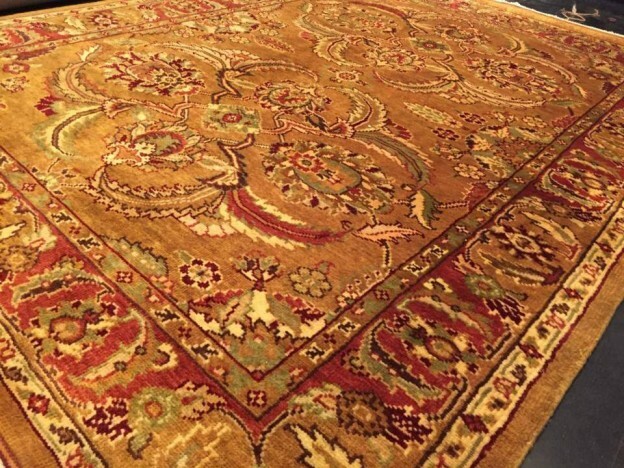 This entry was posted in Rugs & Carpets and tagged persian carpets, persian rugs, Persian rugs manufacturers on June 19, 2016 by admin. A Persian carpet and rug is a dense rugs and carpets made in Iran for a wide range of useful and representational purposes. Rugs woven by the rural districts and different tribes of Iran are well-known for their fine wool, dazzling colours, and explicit conventional patterns. Carpet industry is an integral part of the Persian art and Culture. If we talk about the entire collection of Oriental carpets or even Islamic carpets created, the Persian carpets are unrivalled, known for their diversity and splendour of their various exquisite designs. Persian carpets and rugs of different styles were woven by the tribes in the rural community and city workshops. The Nomads and small village artisans fabricate rugs with bold and coarse patterns that are regarded as the most genuine and conventional rugs of Persia. They symbolize diverse, synchronized lines of folklore and echo the very history of Iran and its populace. In the contemporary production, conventional dyeing with the natural dyes and customary tribal patterns have been introduced. Some regions produce carpets that boast of their palette of myriad colours and eye-catching designs, and are highly valued and kept for display in museums or cherished by many private collectors today. Carpets woven in Tabriz are best known by their detailed weaving techniques and employ of premium resources, colours and distinct patterns.Tabriz carpet industry plays a significant role in re-stimulating the custom of carpet weaving after a long interlude of decline due to political disturbances and the introduction of synthetic/chemical dyes also negatively impacted the Persian carpet industry. How to choose the right rug for your lobby carpet? How to choose the right colour for your Office carpet? © Carpet Couture by Rashi 2014. All Rights Reserved.